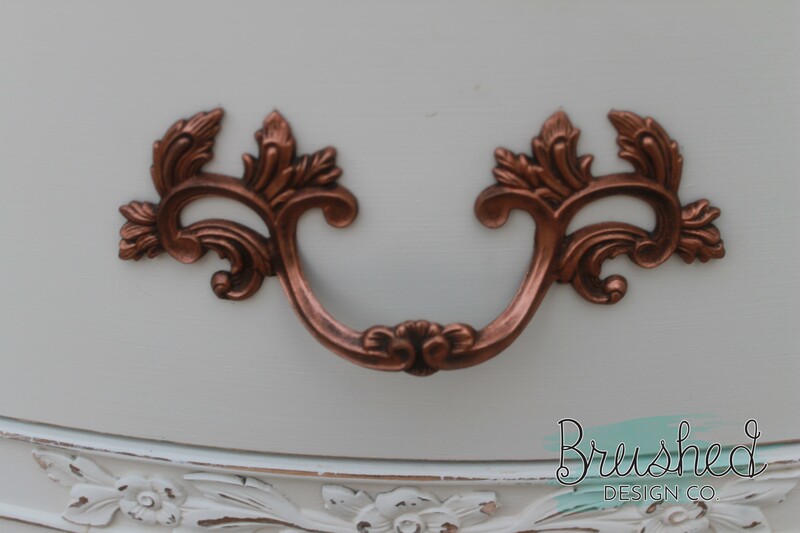 French Provincial style furniture is one of my favorite styles to refinish. 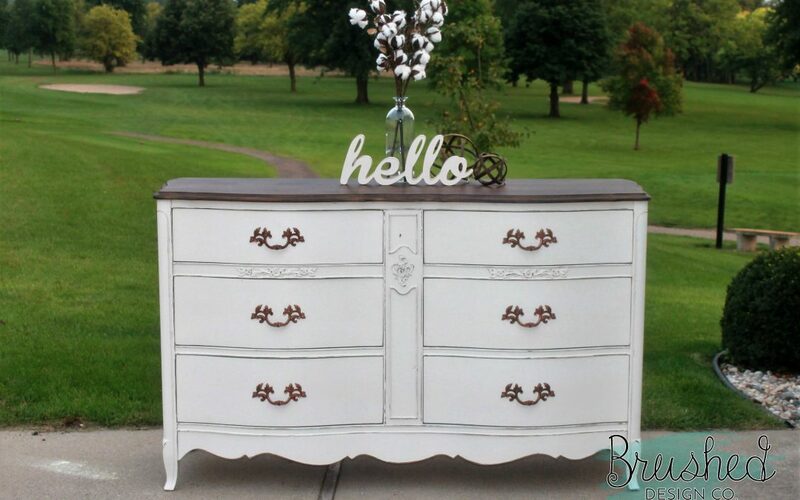 The curves, ornate hardware, and raised details make these pieces a decorative painter’s dream! 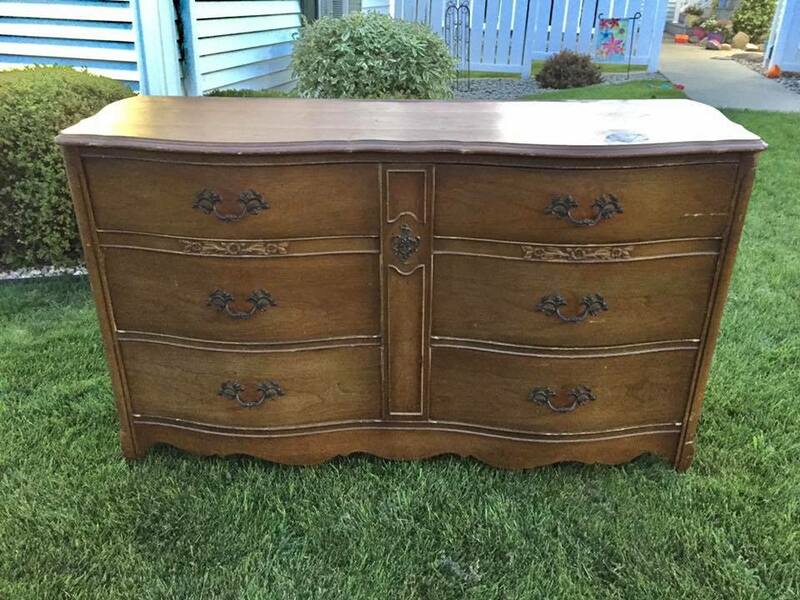 I just knew this dresser would be a beauty before I even put a drop of paint on it! 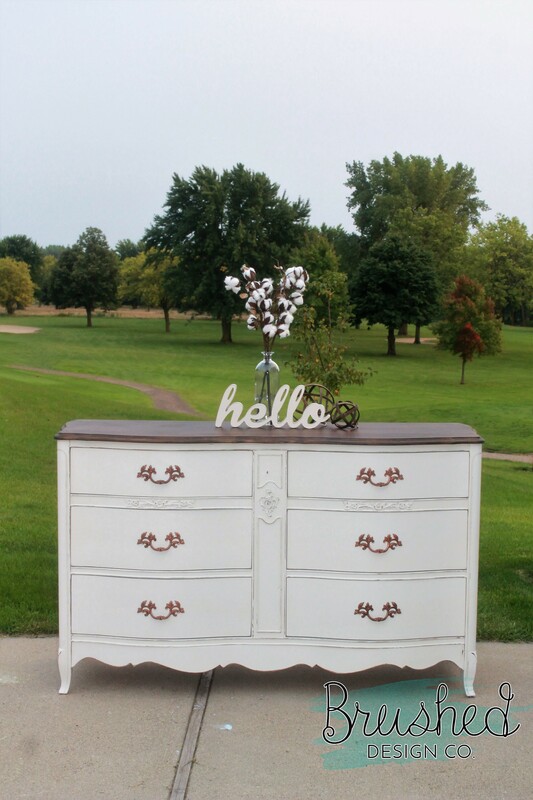 This was a solid piece of furniture in great conditon, but needed a little love to bring it back to life. The top had some water stains and scratches but nothing that couldn’t be sanded out. A power sander is your best friend when refinishing furniture! 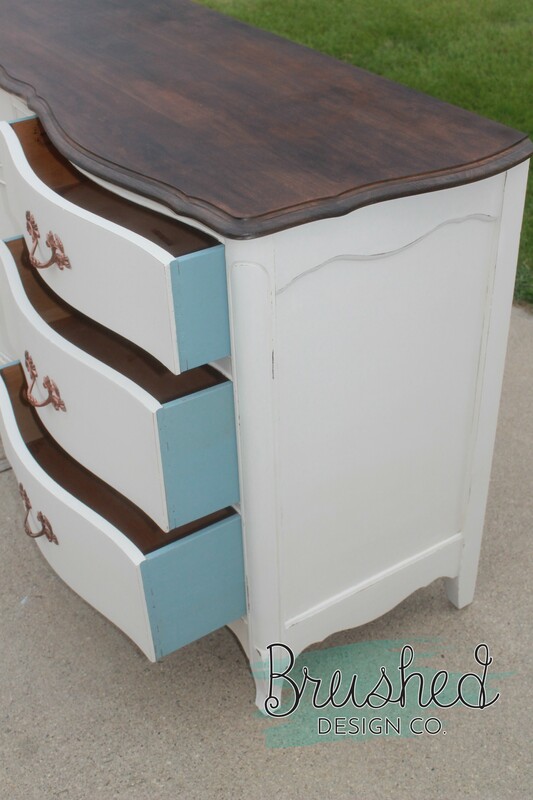 It will save you so much time when prepping your pieces both for staining and painting. I use the Dewalt Random Orbit Sander on almost every project. A 220 grit sanding disc is perfect for a quick sanding to remove top coats and works great for going further to remove stains and surface scratches. ALWAYS prep your pieces with at least a light sanding and cleaning. After the top of this dresser was sanded down and stained with Minwax Dark Walnut stain I then used a water based Sparurethane in a satin sheen to seal in the stain. I prefer to used water based top coats for most of my projects because it will not yellow over time however for darker stained projects you could use either oil or water based without problems. 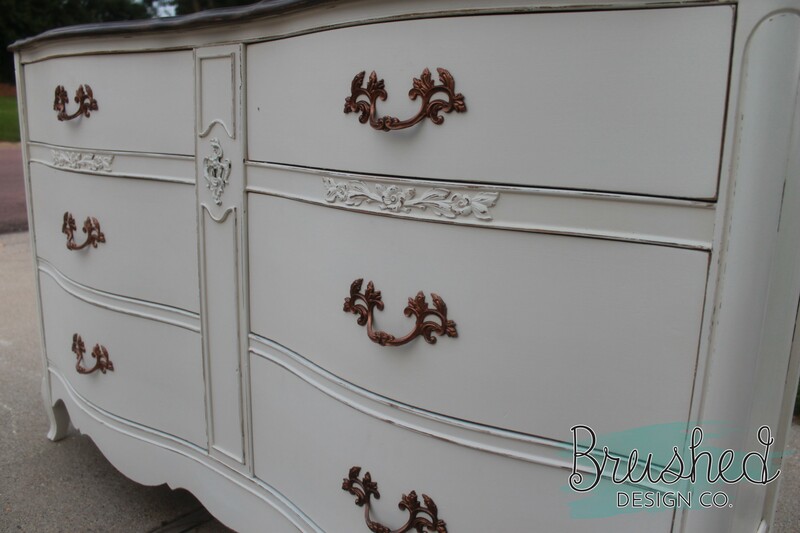 Lastly, the base of the dresser was painted with Fusion Mineral Paint in Raw Silk with a pop of color on the drawers using the color Champness. When painting lighter colors over something that was previously stained, it’s a good idea to use a shellac based primer as your first coat. Not only will this seal in any stain from showing through your paint, but it saves you on your more expensive decorative paint.